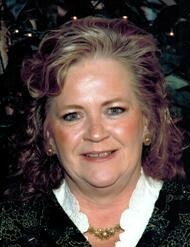 Patricia E. “Pat” Boes, 68, of Tiffin, passed away on Tuesday, February 5, 2019 at Tiffin Rehabilitation Center. She was born on December 31, 1950, in Kokomo, Indiana to James R. and Dorothy (Vonderahe) Smith. Her Funeral Service will be at 1:00 P.M. on Saturday, February 9, 2019 at Hoffmann-Gottfried-Mack Funeral Home & Crematory, 236 S. Washington St., Tiffin, Ohio 44883, (419) 447-2424 with Rev. Joseph Szybka officiating. A funeral service will be held at Goodwin Funeral Home, 200 S. Main St., Frankfort, on Monday, February 11, 2019 at 12:00 Noon, with Father Chris Miller officiating. Friends may visit from 10:00 a.m. until the time of the service at the funeral home. Burial will be in Green Lawn Memorial Park. Please visit goodwinfuneralhome.com, to share a personal message with the family. Memorial contributions may be made to Tiffin Rehabilitation Center or to a charity of the donor’s choice.